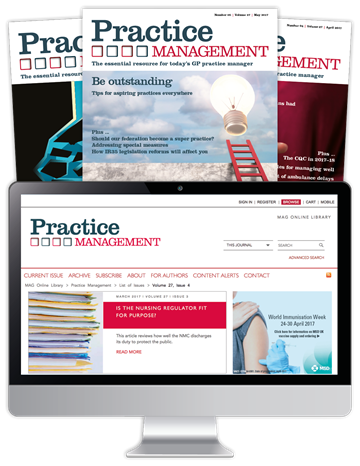 "Practice Management is a great value professional resource for primary care practice managers. 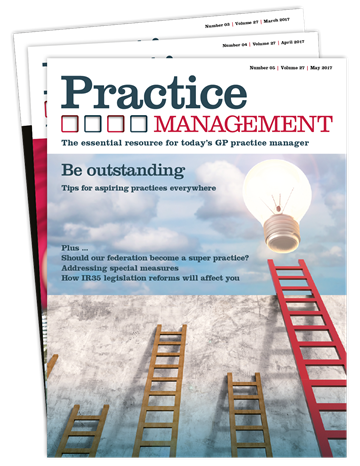 We ensure that, every issue, the magazine only includes up-to-date, practical support on all aspects of running a busy general practice. 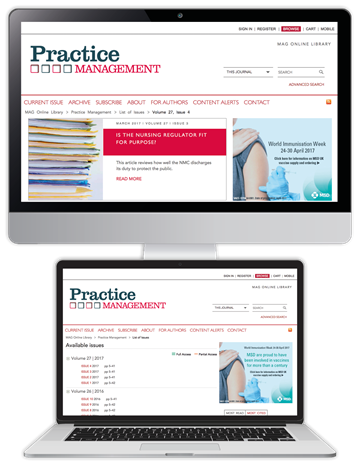 This includes financial, legal and management advice, clinical analysis and the latest news and views from across the health service - all the information you need to help make your practice a success."